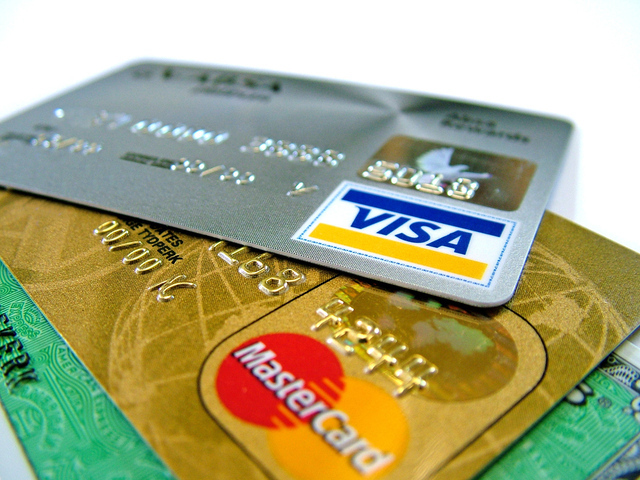 Visa Credit Cards Vs. MasterCard: What Are the Differences? What’s in your wallet? Chances are you’re holding one or more credit cards in there and the odds are pretty good that you’ve got a Visa or a MasterCard among them. But do you really know the difference between the two? Are there are really any in the first place? Millions of consumers swipe both Visa and MasterCard every day, using these payment networks at a wide variety of retailers all across the world. If you’re in the market for a new credit card, then both of these are undoubtedly on your list to consider. The first thing to know is that, unlike with other well-known cards like American Express and Discover, Visa and MasterCard don’t issue or distribute their cards directly to the public. They are only payment processing companies for banks and other financial institutions that decide on giving approval to clients to carry their card. American Express and Discover are not issued by outside banks; these cards are distributed directly by the companies. So what does that mean for you? It’s all about the specifications that each card offers (or makes you adhere to) which vary from certain Visa and MasterCard cards. With a credit card like American Express, for example, the fees, rewards, interest rates, and so on, are set by those companies because you are borrowing the money directly from them. For Visa and MasterCard, those many variables all differ based upon the stipulations set by the particular banks that issue the card. So you will find far more varieties of Visa and MasterCard credit cards available to the general public. While American Express and Discover offer a number of cards for use, there are far more variants on the market with Visa and MasterCard simply because there are so many banks and financial entities willing to issue them to consumers. Visa and MasterCard are both third party payment facilitators. They process payments made between the consumer and a merchant and they make a profit by charging merchants fees for every transaction that they process. The procedure is quite simple: You walk into a store to purchase an item, you swipe your Visa or MasterCard at the register and the details of the transaction are sent to the merchant’s banking institution which transmits it through the Visa or MasterCard processing network to the bank that issued your credit card to you. If there is enough credit in your account or, in the case of a debit or gift card, sufficient funds in your account, then the transaction is approved and you scrawl down your signature on that little digital window. If not, then the transaction is declined. To execute this simple and straightforward interchange between buyer and seller, Visa and MasterCard each charge a veritable menu of fees. As you may have guessed, those fees can add up pretty quick. These include a credit card network fee where Visa and MasterCard take a small, almost infinitesimal percentage for conducting the transaction. It’s much smaller in some cases than the cut that the merchant’s bank gets from the transaction or the piece of the pie that the processor, the company that provides the registers and point of sale machines (those little boxes that you run your card through with the screen you tap and sign), takes from the sale. But consider how many consumers own a Visa or MasterCard and the number of sales transactions that they conduct for those customers on a daily basis. In 2013, Visa raked in $11.3 billion in revenue; MasterCard brought in $8.3 billion in revenue. The amount of fees that are divided up between all the parties involved in every credit or debit card transaction, from the merchant to their bank to the processor to the issuing bank and finally to Visa and MasterCard, adds up to an incredibly large amount of money at all ends. Money that we, as cardholders, are paying, even if all of that cash doesn’t end at Visa or MasterCard. They are the ones facilitating the movement of all those funds and they are the main cog in the system. The difference between Visa and MasterCard is actually quite negligible. Both perform a vital function for credit/debit/gift cardholders and in that regard the two are almost identical. In order to identify what really differentiates one from the other, you need to look at the benefits that each network provides. We’re not talking about cash-back rewards or points earned for using the card or sign-up bonuses you receive upon opening an account as the banks that issue the cards determine those perks. The benefits that originate with Visa and MasterCard directly concern consumer protections, card-member discounts, and exclusive accessibility to purchase things like concert and theater tickets before the general public. Visa offers two grades of cardholder benefits. First is the base model of advantages that all Visa members can enjoy, which include standard subscription perks such as auto rental collision damage coverage, extended warranties on purchases, unauthorized purchase coverage, emergency road assistance and immediate card replacement. Then there is the Visa Signature level of benefits which offers all of the same base model allowances combined with a 24/7 concierge service. Visa Signature level benefits also extend a wealth of special discounts and other perks on purchases made for dining and travel accommodations with room upgrades, free breakfast, and late checkout options at over 900 hotels around the world as well as lost luggage reimbursement in case your bags go missing. The Signature tier also offers exclusive access to advance tickets on entertainment and sporting events for the hottest shows, games, and concerts. Not to be outdone, MasterCard has their own set of benefits with three different levels of card-holder opportunities. They have a similar entry-level program that offers the standard rental car collision coverage, extended purchase warranties, fraud and unauthorized charge protection, travel assistance, and card replacement. But MasterCard goes one step further with their price protection guarantee that reimburses you the difference on any purchase where the price has dropped on that item within 60 days. The next level up is the World package which brings all of these benefits in addition to similar advantages as the Visa Signature program, with concierge service, extended price protection up to 120 days, and the upgrades, discounts, and late checkout at hotels. You can go one step further with MasterCard’s World Elite tier which provides everything included in the other two levels as well as upgrades on rental cars at companies like Avis and National among others, trip cancellation insurance, discounts on airfare, member packages on vacations and golfing trips. The cardholder benefits that come with either Visa or MasterCard include special programs that are available only through business credit cards. Choosing a business card over a personal card brings with it particular advantages that might work better for some consumers. For Visa, it’s the Savings Edge program which gives its business cardholders savings on business purchases for business solutions, electronics, and of course, travel with 5% discounts at Wyndham hotels, Lenovo products and advertising on the Bing search engine through Microsoft. MasterCard brings their own business owners package to the table with their Easy Savings program on travel, office supplies, and shipping costs with discounts at DHL and Avis among other companies and merchants. Consumers often choose a business card over a personal one for small business needs or some have been given one by their company for work related expenses. Having one of these cards not only provides the cardholder benefits that are offered by each of the payment networks, they can be more beneficial to business owners with extended protections on purchases that typical consumer protections won’t cover. They also have different rewards programs and most come with typically higher credit limits. These cards are also a great choice for people looking to establish commercial credit for a small business. If your business purchases fall within the many rewards categories associated with these types of cards then it might work out even better for you, especially with all of the additional benefits that Visa and MasterCard offer these cardholders. Consumers who are looking for a credit card take more than their payment network into account when making a decision. In fact, the logo on the card is often secondary to the benefits and perks that come with the card by way of the issuer. Since Visa and MasterCard don’t distribute their cards, it’s up to the consumer to do his or her due diligence into the bank that is offering the line of credit. This is where things can get tricky and laborious since there are just so many cards on the market; each one seemingly more enticing than the last with plenty of incentives attached to make you apply. Comparison shopping for the right card can often be a time-consuming endeavor because there are so many variable factors to consider. 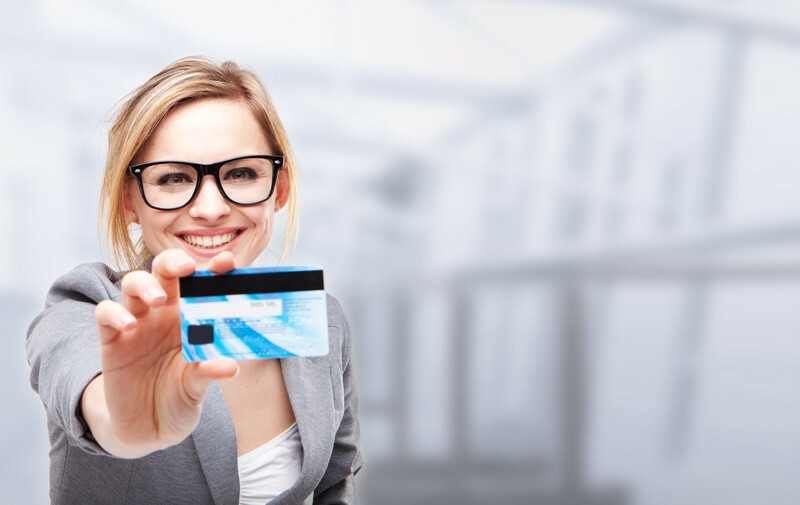 The first thing most consumers look for is the annual percentage rate (APR) on the card. No matter if you choose a Visa or MasterCard, a higher credit score will result in a lower APR. Every card has an APR and the one that you’ll be paying has a lot to do with your credit score. But what makes it even tougher to find the right card is the introductory 0% APR that many of the card issuers offer to new applicants. These promotional, short term low-interest rates can last anywhere from six months to two years and they are obviously very attractive because it means you can hold a balance on the card without paying any additional interest fees on that money. But be careful, because when that initial period expires your APR could jump as high as 24% or more, particularly if your credit score is less than excellent. The APR is only one component of the decision-making process, as other features also come into play when you’re selecting the right Visa or MasterCard. We’ve brought up the idea of cash back rewards before and you’ll find them in equal measure with both networks through a list of banks, both national and regional, providing incentives with their cards. You could earn anywhere from 1% to 6% cash back on your purchases through any number of banks from Chase and Capital One to Sun Trust and Fidelity. Most of them give you that cash back on the purchases you make most frequently like gas and groceries, but there are a variety of other categories as well. Some of the categories change frequently offering more rewards on some items than others. Redeeming these rewards is easy to do, it’s even automatic in some cases, and consumers can choose to have those rewards in cash or as credit applied to their bill each month. But cash back is just one piece of the puzzle as the banks also offer applicants cash bonuses for signing up with their card, often through some kind of reward program where the cardholder receives money after spending a certain amount on the card within a preset introductory period. All of these incentives are available in some form or another from just about every bank, with credit cards for business accounts bringing some extra incentives like frequent flyer miles and other business related rewards that consumers can use while conducting normal business related transactions. However, some banks will choose to issue a Visa over a MasterCard or vice versa through lucrative business relationships designed to increase the networks’ user base. Visa and MasterCard only offer their cardholder benefits in addition to any bank imposed rewards and bonus incentives and fees and rates. The networks have nothing to do with those aspects of the card. Although it’s pretty rare for a merchant, online or storefront, not to accept both cards, it does happen from time to time. Visa and MasterCard have gained worldwide acceptance with nearly 33 million merchants and retailers. This kind of blanket coverage has made both cards the most popular for consumers to carry in their wallet. Visa and MasterCard’s acceptance dwarfs the other major cards, with American Express reaching 15 million locations and Discover at 19 million. 72% of online merchants accept all four and an additional 9.9% of merchants only take Visa and MasterCard exclusively. So it’s safe to say that American Express and Discover still maintain a strong foothold in the industry. As for those rare occasions where Visa or MasterCard is not accepted, there are a few. Costco, the popular bulk warehouse store, had an exclusive relationship with American Express for 16 years until it expires in June of 2016, when Visa becomes the only brand accepted by the retailer. Costco has also partnered with Visa in their store issued cards. They’re not the only ones either, as Sam’s Club made the same jump from Discover to Visa as the preferred credit card at their registers, and Best Buy switched their credit card partnership to Visa in issuing their store cards in 2013. Don’t feel too bad for MasterCard, though: It has its own partnership with Wal-Mart, which switched from being an exclusive partner of Discover in 2014. But whichever card you select, Visa or MasterCard, chances are you’ll have absolutely no problem using it wherever you shop. So now you’ve read through all of the differences, small as they may be, and the many benefits that come with each one. You’ve even done some of the research in deciding which type of card you want and the offers or perks that it provides. So now you’re ready to apply for a new card. It couldn’t be easier to do and you have a few options for getting the process started. You can start with applying through the bank issuing the particular card you’re looking to own. Visit the bank’s website and there you will find all of the cards that they offer. Click on the one you want, read over those specs one last time and then go to the application form. Enter in all of the information that is requested and hit send – it’s as easy as that. There are also a variety of third-party websites where you can compare all of the various Visa and MasterCard credit cards that are on the market across a plethora of issuing banks and financial institutions. The benefit of a site such as this is that you can narrow your criteria to view the benefits that matter most to you, such as considering only cards that offer cash back rewards or cards that are easy for individuals to get approved with bad or no credit. Once you find the card you like, you just click on “Apply Now” and the site transfers you directly to the issuing bank’s application. Finally, you can always just go directly to the Visa or MasterCard website to get the card you want. Both sites also give you a range of card options like those with a low or no annual fee, cash back rewards, travel rewards, introductory offers, and so on. Select the options you prefer for the card you want and the site will help you find the right one for you. When applying for a credit card, it helps to know a few insider tips. Specifically, the way you apply can help you select one network over another. If you want a certain card issued by a particular bank, it’s very possible you will find your options limited to Visa or MasterCard. But maybe you’d rather have that card through the other network, you may think you’re out of luck and you have to go with the network that is being offered. This is not true in every case and the way you apply can help you get the card you really want. One example is the Chase Sapphire card. Since Chase is the issuing bank you would think applying directly with Chase would give you the opportunity to make the selection you prefer. Not exactly. If you go through Chase, then you will automatically default to a Visa because the bank has put a bigger promotional push behind the Visa version. Knowing this now, you might then decide to go through a third-party provider, one of those websites where you can scroll through all the different cards and apply through their portal. You’re still going to get a Visa. If you want a MasterCard version of the Chase Sapphire, then you will need to apply directly through the MasterCard website. There you can find the exact same card that Chase and third party sites offer to consumers but instead of a Visa you can have the MasterCard version. It’s a good rule of thumb to first try the network’s websites directly to make sure you have the logo you really want on your credit card. Visa or MasterCard? The choice is up to you and some may find the differences between them minute by comparison. The distinction really comes down to the benefits each one offers in terms of consumer protection and exclusive perks that only cardholders can enjoy. So if you’re someone who likes to go to a lot of concerts and wants early access to tickets for the biggest events, then you’re going to want a card with Visa Signature status. Maybe you like knowing that MasterCard has your back in case something you buy drops in price in the next 60-120 days, then that price protection guarantee is only available with their World or World Elite package. Both payment networks have their strengths, but it’s up to you to decide which card is best for you, and then you can apply with either Visa or MasterCard based on that consideration. Just make sure you’re cognizant of the rates and fees first.